Are you in the middle of planning a move to California? California is a great place for outdoor enthusiasts and nature lovers, because of the parks, mountains, and beaches that span the state. If you are still in the research stages of your move, you are probably considering such cities as Los Angeles, San Francisco, San Diego, and Sacramento. Sacramento is an ideal city to relocate to when looking to move to California. Not only is it the state’s capital, but it is packed with history, culture, and picturesque views. Relocating out west, especially from a city across the country, can be exhausting. You may think that driving is your only option. However, there is a safer, easier, and faster alternative that could even save you money – car shipping. National Dispatch offers nationwide car shipping services to get your vehicle to your new home, safely and quickly. There are numerous advantages associated with car shipping services, rather than driving a vehicle to its destination. Here are just a few. To learn more, read 4 Key Benefits Of Auto Transport. Traveling across the country can occupy a lot of your time. 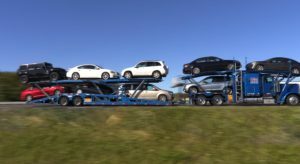 Car transport is a faster option. Rather than spend hours, or even days, stuck in a car, fly to your destination. At National Dispatch, we have trained and knowledgeable employees that have the skills and experience necessary to get your car to its destination, without incident. This will give you peace of mind knowing that your car is safe on its journey. If you plan on driving to your destination, then you should prepare to spend money on gas, food, and lodging. You should also be prepared for unforeseen circumstances, such as delays, breakdowns, and mechanical repairs, which could mean more money out of your wallet. Before making the move to Sacramento, there are some things that you should know about the area that you will soon call home. Here are a few facts about where to live, what to do, and more. Just like most cities, this metropolitan area has a wide variety of neighborhoods to choose from. Midtown – Midtown is great if you want a fast-paced lifestyle. This neighborhood is highly walkable, but offers a very diverse population and housing market. You will see a single family home intermixed with businesses and apartment buildings. This is also respective of their community. Midtown draws in many different types of people from hipster to professional and everything in between. College Greens – This college town offers more homes and larger yards than you might think. It is home to Sacramento State, but it is more than just a town run by college students. It is a safe neighborhood that offers quick access to freeways which brings in many families and couples. South Land Park – This is one of the tougher neighborhoods to get into, because the ranch-style homes tend to stay in the family for several generations. East Sacramento – This is arguably one of the richest neighborhoods in the city. East Sacramento is comprised mainly of doctors, attorneys, business owners, and lobbyists. It is upscale and has the higher prices per square foot of home in the entire city. In Sacramento, you will get to experience the seasons. For most, winters in Sacramento are not bad. While Sacramento gets fairly cold, it rarely ever snows. This makes winter mild and manageable to most, but if you are coming from warmer climates, prepare yourself and bring an extra coat. Summers are hotter than many parts of California, but it is a dry heat which is much more tolerable. Surprisingly, the cost of living in Sacramento is lower than most parts of the state. While the actual cost of your home will depend on which neighborhood you choose, basic single family homes start around $300,000. Depending on where you are moving from, this may seem very cheap, especially if you are coming from LA where the average home costs 21.5% more than the rest of the country. Gold Rush Sites – Sacramento is famous for the Gold Rush. More than two billion dollars of gold were extracted from this city during the few short years that spanned the Gold Rush. This money is one of the main reasons that California became the 31st state to be a part of the United States. To learn more about the Gold Rush and Sacramento’s part in it, check out Sutter’s Fort, Gold Rush Days, and the California State Library. Basketball – Sacramento may not have an abundance of sports teams, but they do have The Kings. Go to one of their games to experience an enthusiastic night of sports in one of the most modern NBA arenas. Farmers Markets – Sacramento is the nation’s capital for fresh food. It is the leader in the movement “Farm to Fork”, and because of that, there are many farmer’s markets for you and your family to enjoy. At each market, you will be able to find fresh produce, nuts, and more. 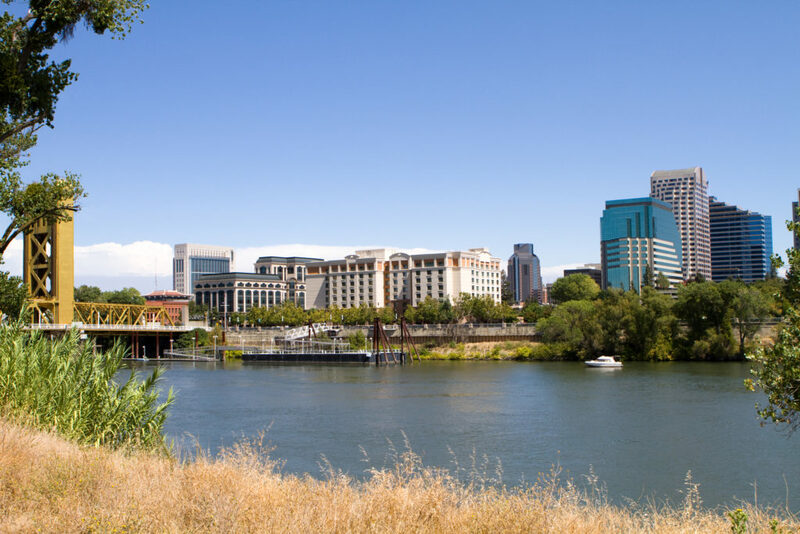 Weekend Getaways – The location of Sacramento makes it easy to go on many vacations throughout the year. It is close to San Francisco, Napa, Santa Cruz, Lake Tahoe, Yosemite, and many more. Due to its proximity and drivability, traveling to the surrounding areas will be cheaper than you think. Are you in need of car shipping services? National Dispatch is a nationwide auto transport company that offers a free, instant online quote form. No personal information is required. Only four simple fields of information are needed: vehicle make, vehicle model, pickup location, and vehicle location. If you prefer to speak with an auto transport representative, call us at 800-321-2051. You can also chat with us on our website.